President Muhammadu Buhari on Thursday said he was disturbed when terrorist group, Boko Haram claimed they have been receiving support from the Islamic State of Iraq and Syria. According to a statement by his Senior Special Assistant on Media and Publicity, Garba Shehu, the President said this at a joint press conference he held with President Recep Tayyip Erdogan of Turkey in Ankara. His administration had been able to contain the insurgents. “We were very surprised and disturbed by the claim made by Boko Haram on what they have been getting from ISIS. 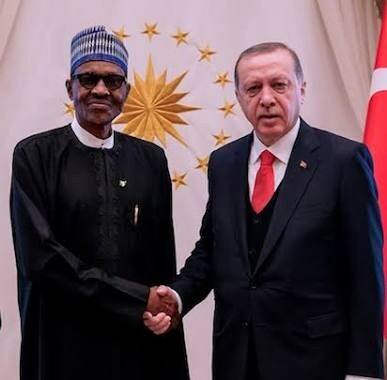 “We are very pleased that Turkey is in a position to assist us and has been strengthening our educational and health institutions,” Buhari reportedly said at the press conference. He added, “We are very pleased with the progress of the meeting so far and we are going to wait for the details of meetings between the two countries.